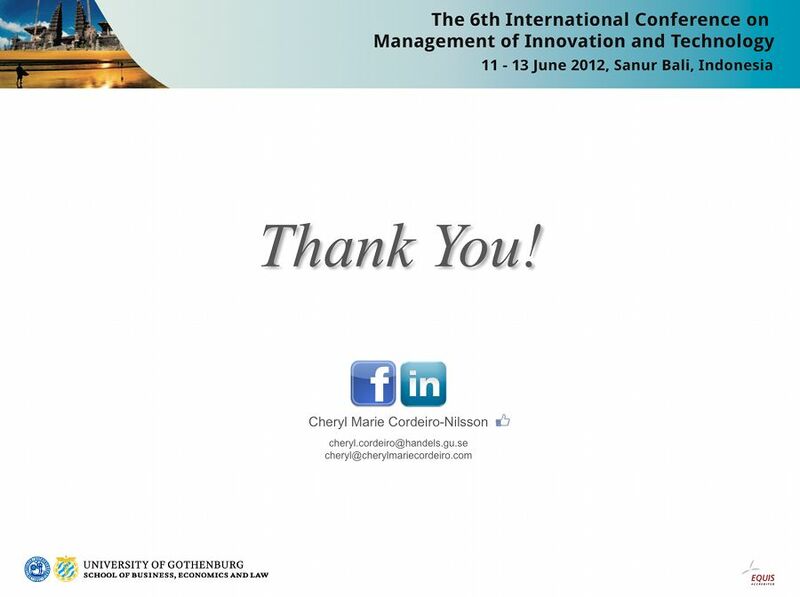 The 6th IEEE International Conference on Management of Innovation and Technology. 11-13 June 2012, Sanur, Bali, Indonesia. I think the problem with research in general is too much data and too little space to put them. And it’s always also easier to expand on things than summarize during an editing process because you get all important information being left out when you try to limit yourself to for example, 6 pages of text. 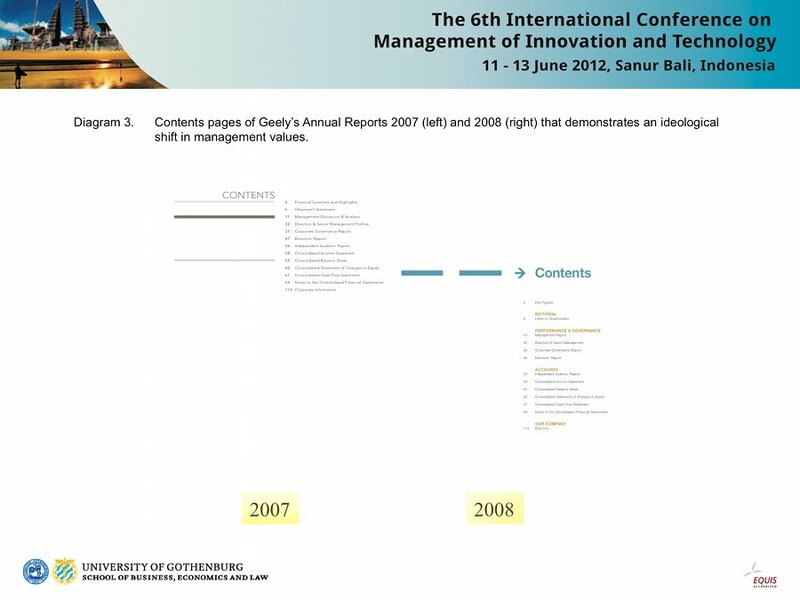 At the ICMIT 2010 conference held in Singapore last, I was nicely giving my presentation on the topic of knowledge transfer in cross-cultural contexts, where I had the same problem then as I do now, that is lack of space and time to squeeze all information into the given space and time slot. After the presentation, I was asked the question – how does the qualitative and language based aspects of my work relate to the field of knowledge management? 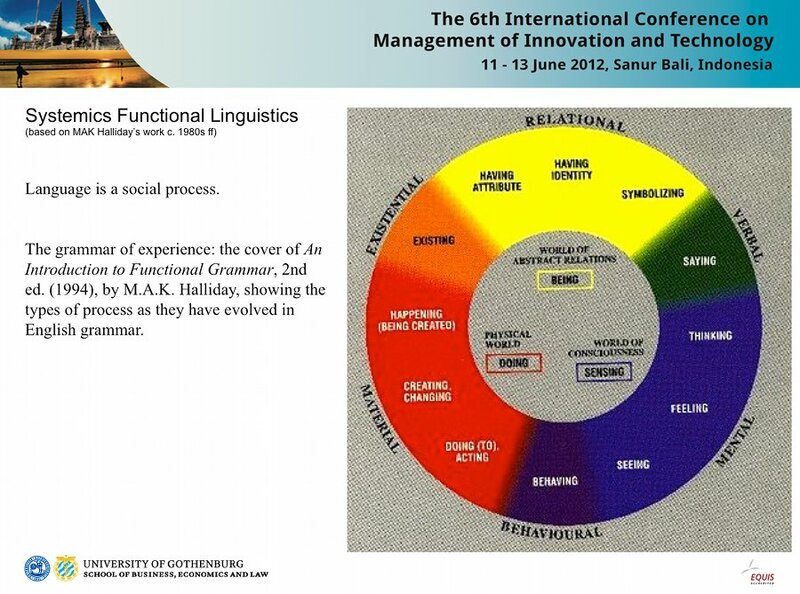 At this conference, I think I would like to begin by giving you a context of situation to the study of language, and how that connects with organization science and knowledge management. 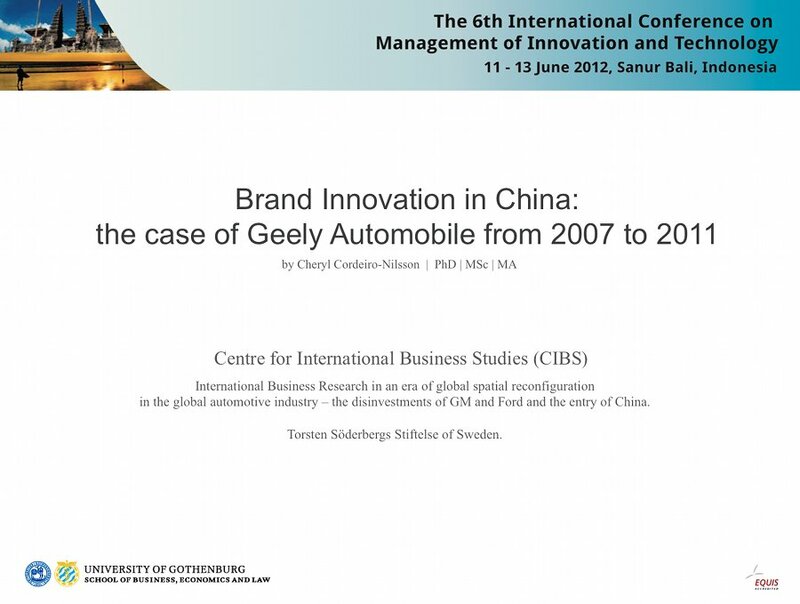 Based on a framework of visual semiotics and discourse analysis, I’ll outline the perspective of – the branding innovation of Geely automobile from 2007 to 2011 – and then try to connect back to the aspect of human talent / capital towards the end of the presentation. Visual semiotics is basically the study of symbols, signs, images in the process of communication. It is also the study of the formulation and production of signs, images and visual communication, the meaning of which is the result of an interaction between the message and its reader or audience. 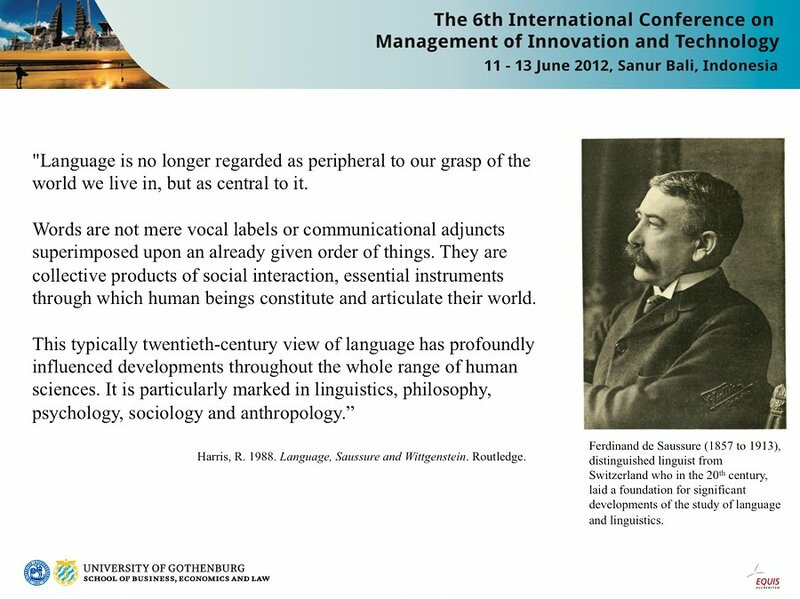 The dimensions of linguistic organization introduced by Saussure continue to be fundamental to many approaches to how the study of language can be approached and applied to other fields of research. And it is these basics, a tri-pronged framework of image analysis, together with systemics functional linguistics as outlined in section 2 of the paper together with grounded theory that provides the qualitative framework of analysis and perspective to the topic of “Geely’s brand innovation” and its efforts investing in human capital to make this change happen within the organization. (a) Interpersonal – this dimension that focuses on appraisal, positive or negative attitudes that help uncover and deconstruct Geely’s social relations as an organization. 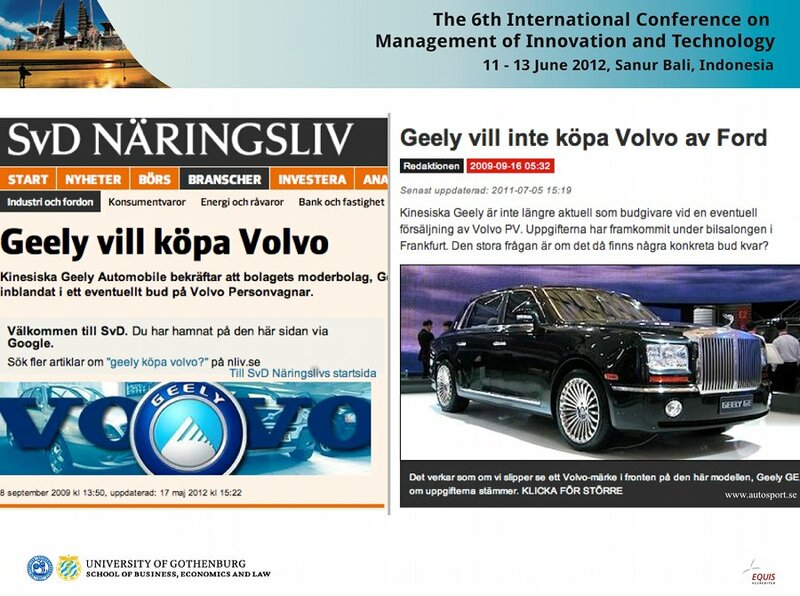 It helps uncover how Geely evaluates its relationships with other organizations or groups that are important for Geely in managing their own brand, tracking their evolving attitudes in their relations with their acquisitions, in particular, Volvo Cars. 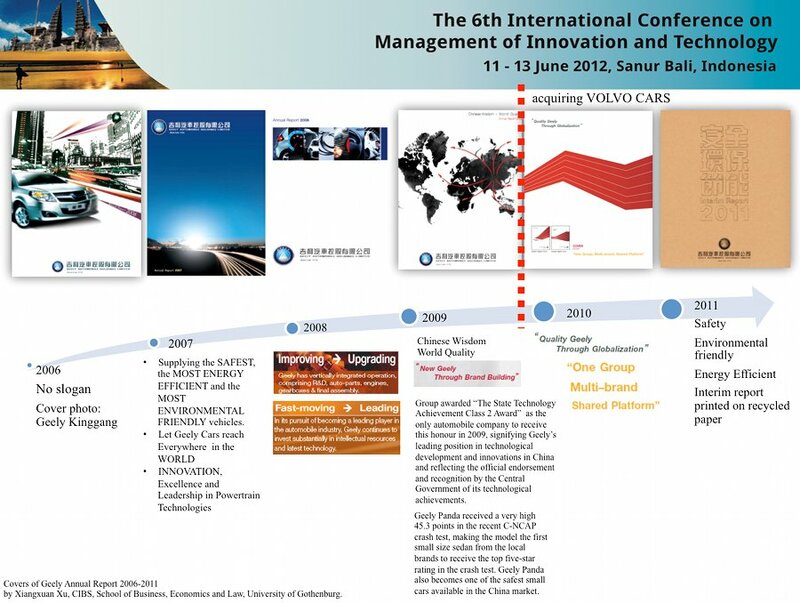 Visuals used in Geely’s annual reports for example can also be evaluated on an interpersonal level since visuals have the capacity to impactfully convey an attitude towards its readers, thus carrying a specific message from the organization to its target audience. (b) Ideational – this dimension systematically uncovers Geely’s experiences as an organization. 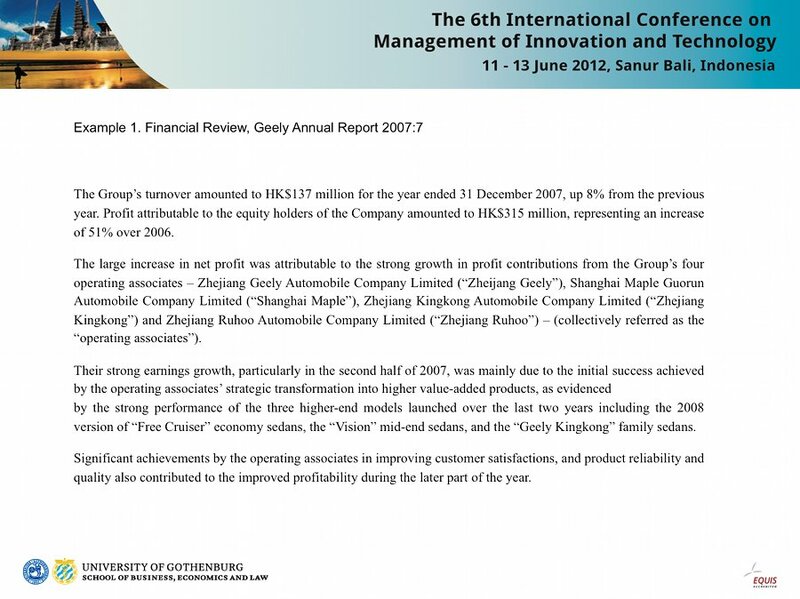 Concerned with people, things and the activities undertaken by Geely as an organization towards human capital, technological and innovation management for example, who they say as ‘active’ participants that contribute to their success. (c) Textual – this dimension focuses on waves of information flow, whether in text or in the visuals used in Geely’s annual reports. 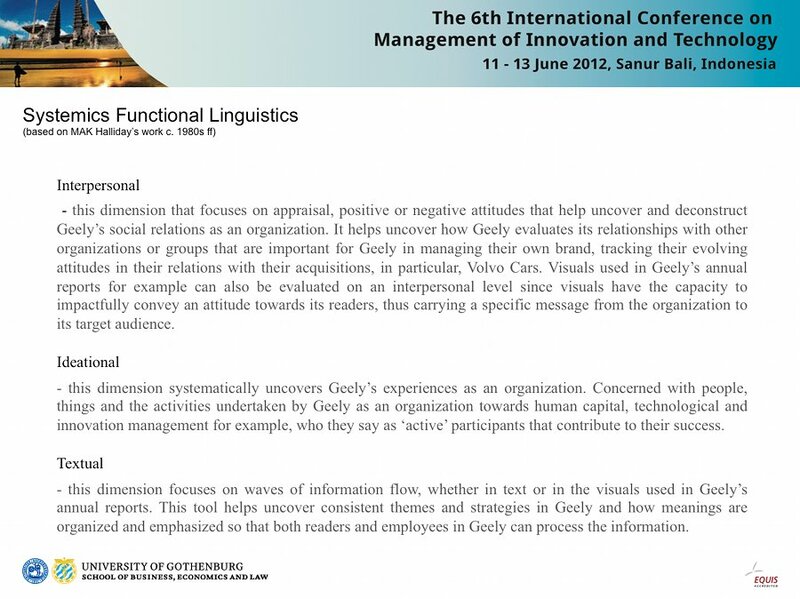 This tool helps uncover consistent themes and strategies in Geely and how meanings are organized and emphasized so that both readers and employees in Geely can process the information. Language is a social process. It both shapes and is shaped by its users. We use language in a functional manner, to get things done, to make transactions and to express our current perspectives, so as to direct our future, or project our future. 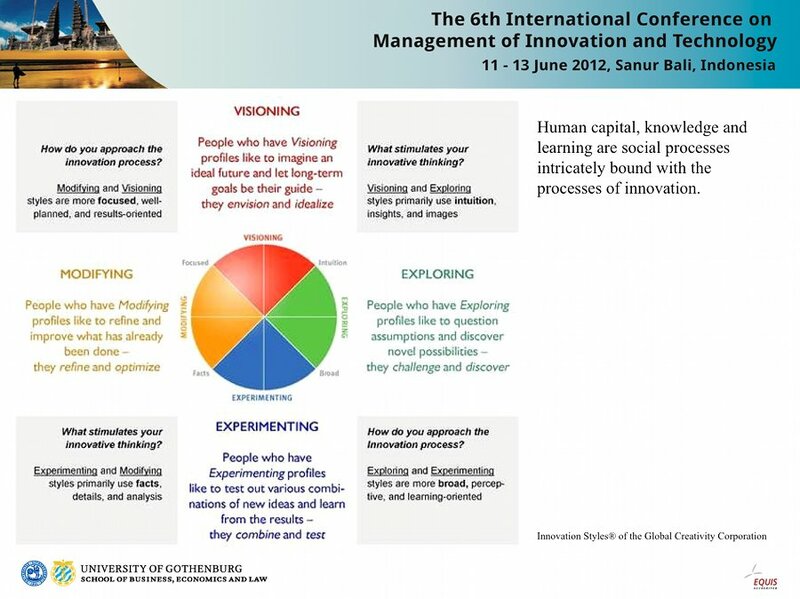 The management of human capital, their repository of knowledge and their learning are also social processes, expressed in language and visuals, that is intricately bound to other social processes such as innovation, set in an environment (the organization space) that ideally is one that fosters creativity. So with that framework in mind, we’ll go ahead and see how the language of visuals – visual semiotics – can bear upon human capital within an organisation, taking specifically the study of China’s Geely Automobile in its acquisition of Swedish (then American) Volvo Cars. The time frame of study is between 2007 and 2011, from a few years slightly before Geely’s 2010 acquitsition of Volvo Cars to a year after. The negotiation period between Ford and Geely was between 2008 and 2010.